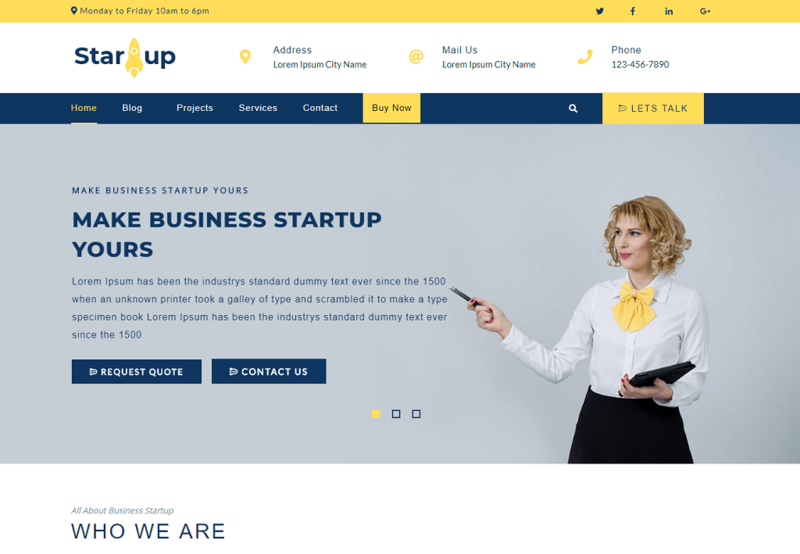 Multipurpose Startup is a clean and modern WordPress startup them especially for innovative startup, entrepreneur, IT Company, tech startup, business, digital marketing and online business. Multipurpose Startup is professional and creative free wordpress theme which is fully responsive and looks amazing in all type of devices. It is the best platform to step in the world of business with your innovative ideas supported by this equally exploring theme. Multipurpose Startup is cross-browser compatible, translation ready and optimized for speed. Multipurpose Startup theme has been coded from scratch on the strong framework of Bootstrap. It provides you theme customizer where you can update any part your website and see the live changes before pressing button. These changes can be brought about by theme customizer which eliminates the need for coding knowledge. Its header, footer and sidebars can be styled in various designs. And also it provides you well maintained documentation.